In Sochi, on 24 November the presidents of the Russian Federation and Abkhazia Vladimir Putin and Raul Khajimba signed a Treaty between the Russian Federation and Abkhazia on Alliance and Integration. This document was the result of joint efforts by Moscow and Sukhumi, prior to which drafts of the treaty developed independently were rejected: the Abkhaz side would reject the Moscow version, and the Russian side would reject the Sukhumi version. 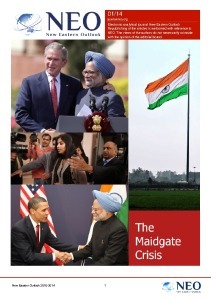 Thus, the treaty of alliance, drawn up on a parity basis and containing compromises and signed by the presidents of the two countries, on top of all that served as a concrete response to the criticism that Russia is unable to build true partnerships with notoriously weak states, and operates in this issue from the perspective of power and imposing its own interests. Sukhumi was not satisfied with those provisions in the Russian version of the Treaty of Alliance that essentially entailed delegating a part of sovereignty to Russia. This included, in particular, the establishment of some supranational military, law enforcement structures and fiscal institutions. The article on increasing social benefits was surprising: the local budget is entirely dependent on Russia, and the treaty contained mention of increasing payments to residents of Abkhazia who are citizens of the Russian Federation – indeed, most of the citizens of Abkhazia possess secondary Russian citizenship, but what about those who have only an Abkhazian passport? Do they all have to take Russian citizenship too? And finally, the idea of simplified granting of citizenship to Russians was categorically unacceptable to the Black Sea republic – the Abkhazians with a population of 150,000 already have difficulty claiming the advantage of the “titular nation”, and have always feared ethno-demographic changes. The relaxation of the rules of citizenship automatically opened the possibility of acquiring land and property in Abkhazia, which is prohibited to foreigners. “And who said that the country would not immediately be overwhelmed by an influx of immigrants from Russia’s troubled regions?” This question was often posed in Sukhumi when the Russian draft of the treaty was under discussion. “In the Russian draft Russian interests were originally laid out and given priority, and Abkhazian interests were given little attention. But this is a common thing, any country participating in the development of such a treaty tries to take care of itself,” said the Abkhazian political scientist Inal Khashig. 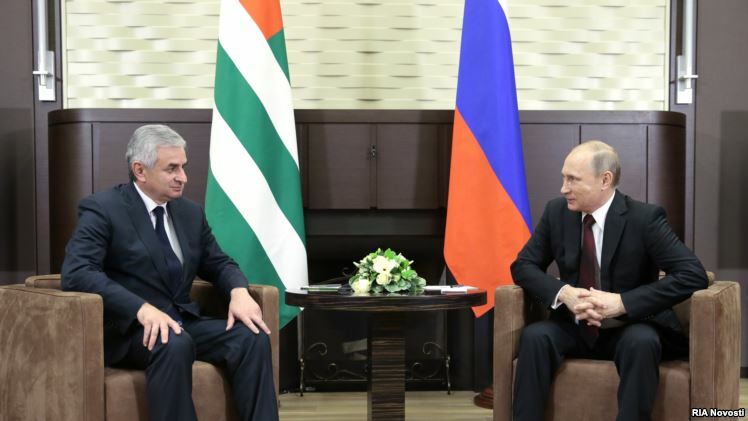 The counter offer, the Abkhazian version of the treaty, was developed by at least two institutions: the Administration of the President of Abkhazia and Parliament. In contrast to the Russian version, in Sukhumi they did their best to present their interests in the document and protect them. And it worked. For example, the final version of the treaty left out the item on the simplified granting of Abkhazian citizenship to Russians that so disturbed the local community. Russian President Vladimir Putin, commenting on the signed document, recalled the substantial Russian investments that are to revive the Abkhaz economy and create the conditions for the gradual reduction of Russian cash injections while proportionally consolidating the local economy. Thus, from 2015 to 2017, Abkhazia will receive up to 4 billion roubles annually. In addition, in the future, the Black Sea republic will receive an additional 5 billion roubles. In the territory of Abkhazia a joint formation of troops will be established from the Abkhaz and Russian armed forces under Russian command. And to protect the Abkhaz-Georgian border along the Inguri River Russian and Abkhazian units will work together. It is worth mentioning that the treaty stipulates that Abkhazia will participate fully in the “integration processes in the post-Soviet space, implemented on the initiative of and/or with the assistance of the Russian Federation.” It is remarkable, but at the same time ambiguous. How, for example, will Abkhazia participate in such alliances as the CSTO and the Eurasian Economic Union (EAEU), if all the other members of these associations do not recognise the independence of Abkhazia and support the principle of Georgia’s territorial integrity? In Georgia itself the response to the alliance treaty between Russia and Abkhazia is negative. Another of Putin’s proposals was met with bayonets when it was announced at the final joint press conference after signing the treaty. The Russian leader, in particular, suggested that his Abkhaz colleague consider the option of the full restoration of the railway in the Georgian direction and onwards to Armenia. The implementation of this project is important for Russia. 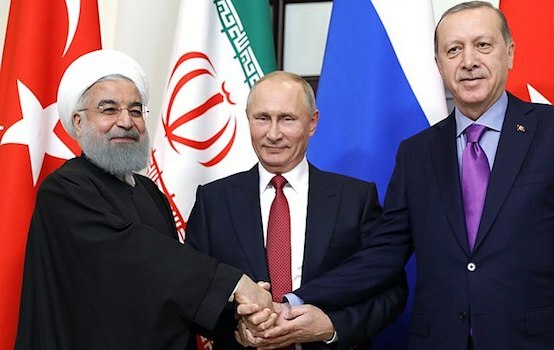 The restoration of railway connections through Abkhazia and Georgia, firstly, would facilitate the infrastructural connection both with Armenia and the Russian military base, and secondly would partially unlock the allied state “clamped” in the Azerbaijani-Turkish vice. It is clear that Yerevan is also extremely interested in revitalising the route. However, the Georgian Foreign Ministry had to announce a firm ‘no’ to this project, since it “did not begin to take into account the official interests of Tbilisi.” They are known to be radically at odds with the Russian-Abkhazian treaty. Therefore, negotiations on the rail road, the operation of which may to some extent change the balance of power in the region, could be protracted, even if Putin’s proposal may seem attractive to Sukhumi from the standpoint of obtaining transport income. However, this is quite a differernt story. In the meantime it is clear that by signing on 24 November in Sochi the treaty on alliance and integration between Russia and Abkhazia, Vladimir Putin and Raul Khajimba turned a new page in Russian-Abkhaz relations.